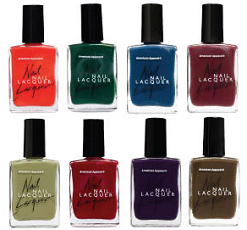 Get a Free Nail Polish at American Apparel Stores for stopping by a participating location. No coupon or purchase necessary. Valid thru 11/10/12, while supplies last. Not valid online. Must be one of the selected colors only. Click here for locations.